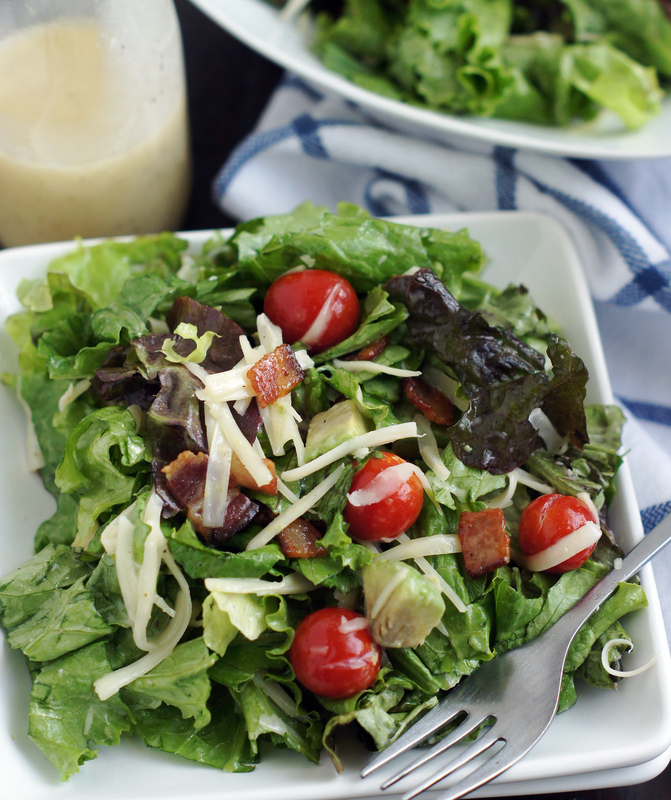 If you love BLT sandwiches, then you will love this BLT Salad with Avocado. 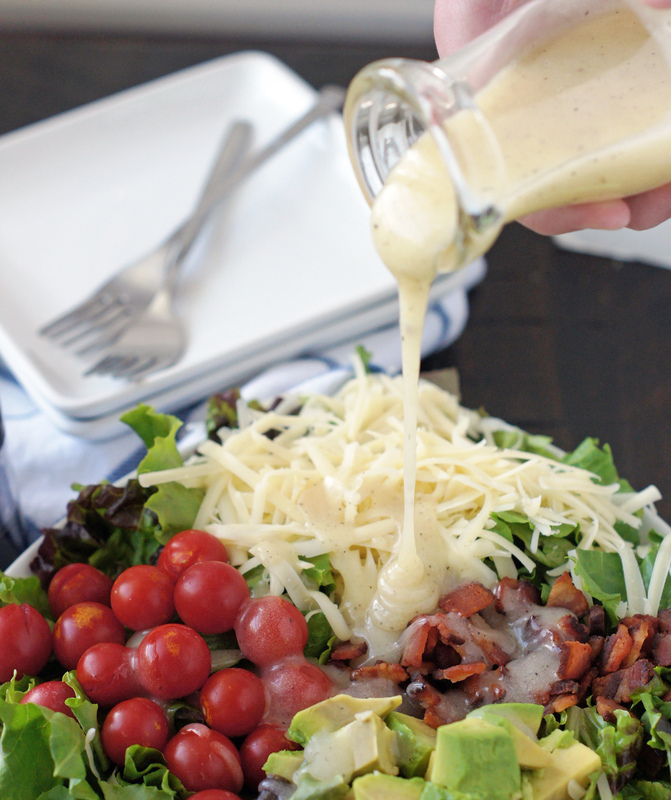 Loaded with tomatoes, bacon, avocado and swiss cheese, it’s insanely delicious! This salad has quickly become a favorite at our house over the last few months. I’ve made it over and over because I am so in love with it and because my garden has been overflowing with cherry tomatoes. There have been no complaints from my two oldest and/or my parents when I made this for them two times in a row when I had them for dinner. It’s currently at the top of my favorite salads list and I don’t see it falling to the bottom any time soon, or ever! I can’t get enough of this salad. I could literally eat this for lunch and dinner every day and never get tired of it. My mom is hooked on it too (she’s a smart lady!). Everything about it and in it is delicious! It’s beautiful to look at, simple to make, crazy delicious and goes well with everything. If you’ve been on the hunt for a new, fabulous salad to try, then look no further. I’ve got your back today! You will love this!! 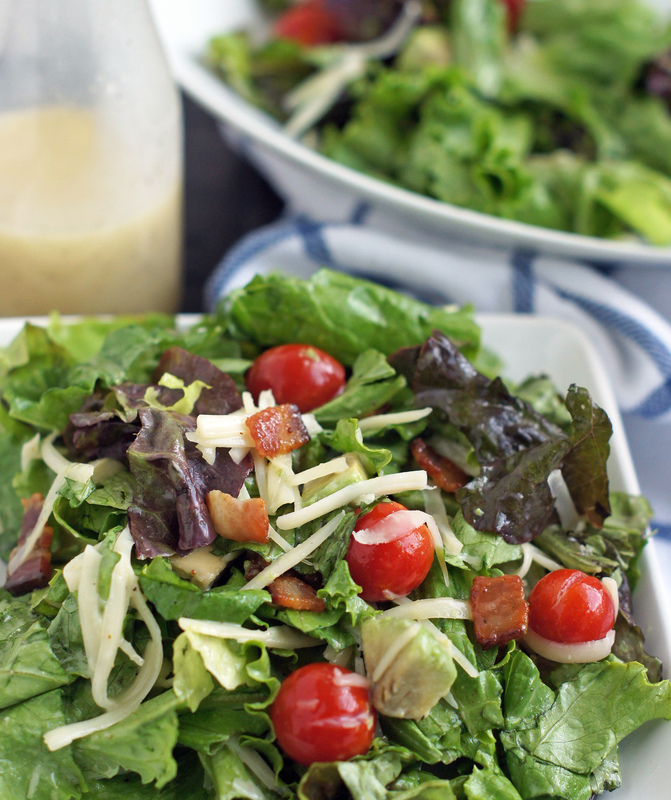 In a large bowl combine two lettuces, tomatoes, bacon, swiss cheese and avocado. To make dressing: In a small bowl, whisk together all dressing ingredients until smooth and sugar is dissolved. You can really use any combination of lettuce that you like, but my favorite is to use green and red leaf. Romaine lettuce is a good one to use too. I usually start with about half the dressing, then add more if needed. You can certainly add more or less of any of the ingredients. 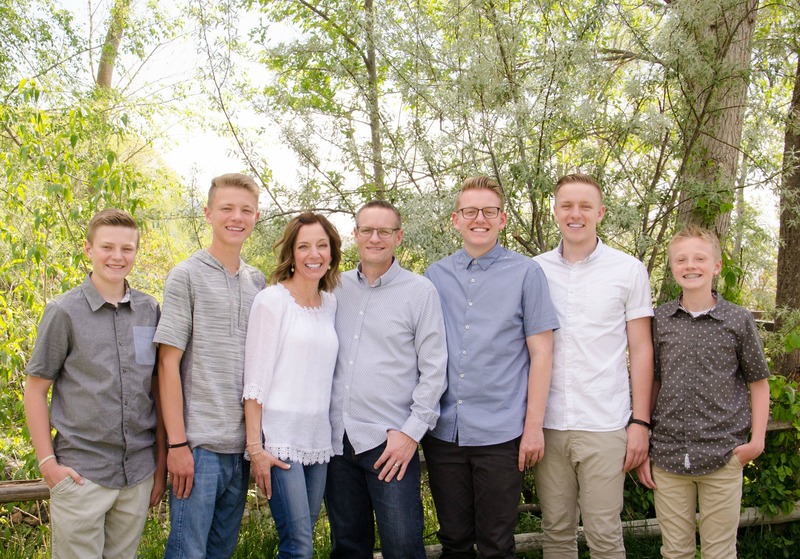 Jodi, that looks great. I am making it this weekend. I love that simple dressing, looks so yummy, thank you. Hi Teresa! You will absolutely LOVE this salad!! Hope you’re doing well. I know there is a lot of salad recipes out there, but this is now one of my new favorites! So simple but amazing combination of flavors. Thanks for sharing!